30', 14k SAVAGE SAVAGE Pendant Necklace .Attention: Please Keep In Mind That This Item Is Not Real Gold. Rope Chain Measurements: (Length X Width) 20' 24'. 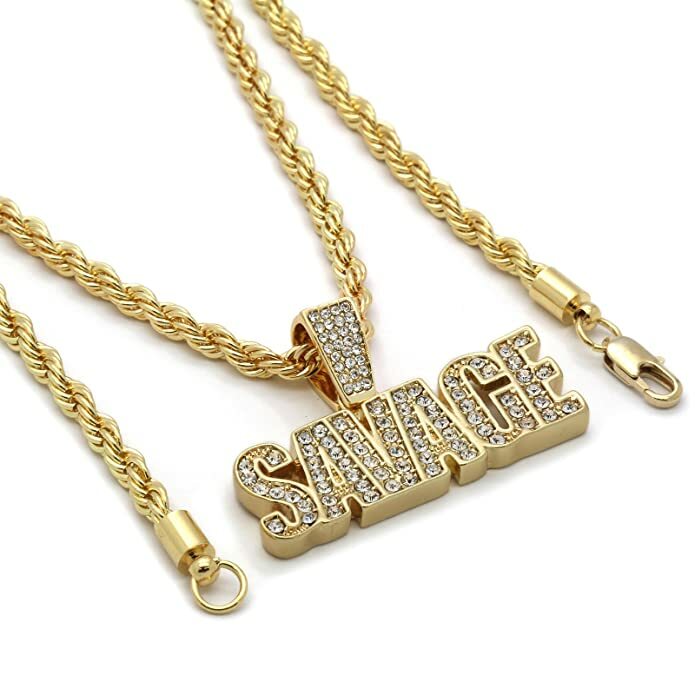 30', 14k SAVAGE SAVAGE Pendant Necklace .Attention: Please keep in mind that this item. About The 30', 14k SAVAGE SAVAGE Pendant Necklace .Attention: Please keep in mind that this item. Pendant Measurements: (Length x Width) 2' tall x 1-1/4' wide. Rope Chain Measurements: (Length x Width) 20' 24' 30' 36' inches x 4 millimeters. More from 30', 14k SAVAGE SAVAGE Pendant Necklace .Attention: Please Keep In Mind That This Item Is Not Real Gold. Rope Chain Measurements: (Length X Width) 20' 24'.